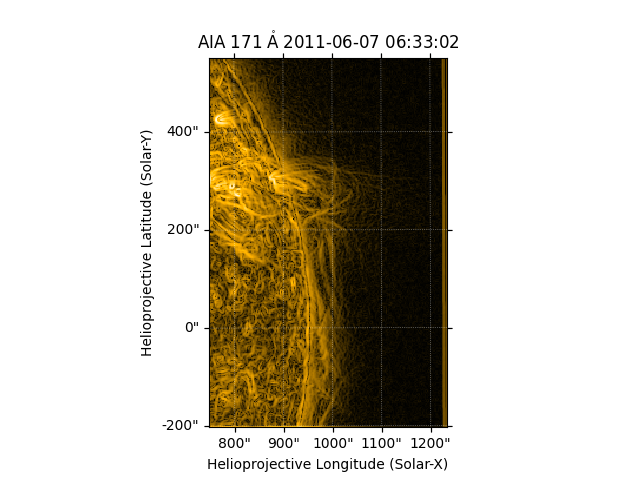 This example shows how to edge enhance coronal loops in an SDO/AIA image. We first create the Map using the sample data and make a submap of a region with some interesting loop features. Next we apply an edge enhance filter to the data in both x and y directions and combine the two images together. Finally we create a new map with the edge enhanced data and plot the result.